The season got off to a horrendous start. 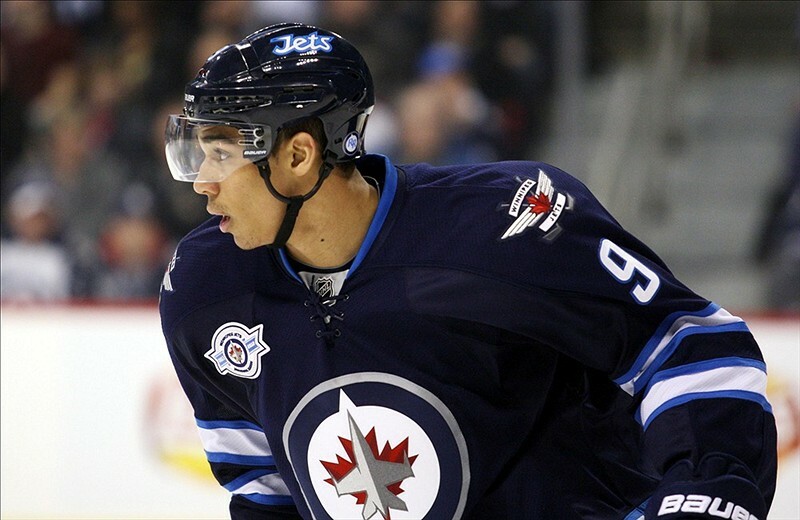 Perhaps one of the worst case scenarios for the Winnipeg Jets became a reality in the first game of the season when Evander Kane went down with an injury. Kane collided awkwardly with teammate Mark Scheifele at the blue line just a few shifts into the opener against the Arizona Coyotes. Scheifele skated away unharmed, while Kane has been out ever since with a knee injury. The Jets had little trouble with the Coyotes that night, blowing them out 6-2 on the road. But, over the next four games the Jets scored just twice, losing decisively to the San Jose Sharks, Los Angeles Kings, Nashville Predators and Calgary Flames. Sure the Jets have won three of their last four games since, but even during that run they managed 11 goals in four games. It’s good, but nothing overwhelming from the offense. An offense which has relied heavily on two players: Andrew Ladd and Bryan Little. They have combined for nine goals and seven assists on the season. Now comes the question of where he will play. If he is ready to go Maurice probably won’t hold him back. Kane should be expected to earn plenty of time both at even strength and on the power play. Slotting in alongside Mark Scheifele and Blake Wheeler on the second line seems to make the most sense. It would give the Jets two strong lines that can attack with speed, skill and a bit of a physical edge, specifically with Kane. As previously mentioned Ladd and Little have been the dominant duo offensively. Scheifele has struggled to produce with just one goal and one assist, while Blake Wheeler has three goals and two assists, all of which have come five-on-five. Kane should help on the forecheck, add speed on the rush and contribute a few rebound goals off the cycle. He should be a difference maker and he should average close to half a goal per game. If he doesn’t, the Jets will likely stay near the bottom of the Western Conference.